San Antonio is no slouch when it comes to entertainment and activities. We are home to some of the best establishments found anywhere in the country, along with many small-venue dinner theatres for a more intimate experience. Live music also has a place here, with choices ranging from duets on the patio to arenas packed with screaming fans. And if you like sports, we offer championship-caliber professional basketball. 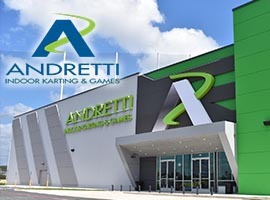 Andretti Indoor Karting & Games is San Antonio’s newest entertainment/event destination! This 88,000 sq ft facility features high speed electric Superkarts on 2 three-level tracks, 100+ State of the Art Games, Ropes Course w/ Zipline, Racing Simulators, Two-level Laser Tag, Duckpin Bowling, Interactive Motion Theater and Hologate, a fully immersive VR experience. Dining Options include an innovative concept Food Truck Plaza offering fresh scratch menu items of Latin, Italian, BBQ and Americana cuisine as well as a full sit-down restaurant menu in the dining area around the Main Bar. 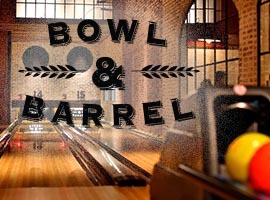 Bowl & Barrel is an upscale boutique bowling alley with 15 full sizes lanes and a modern American restaurant and bar featuring house-made specialties, classic cocktails and craft beers on tap. Discover The Greatest Sport Off Earth – Bodyflight is one of the most exciting, fastest growing sports in the world. Even cooler? Nearly anyone can become a skilled flyer through our progression system, personalized coaching, and introduction into a supportive and inclusive community. 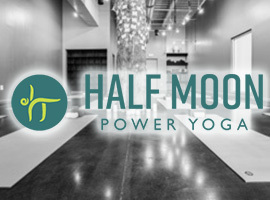 Half Moon Power Yoga utilizes the tools of yoga enabling any body to experience a journey of transformation and living in truth. Visit San Antonio’s State of the art Gun and Archery Range. Mission Ridge Range and Academy has various rentals available for both firearms and bows and offers memberships for every price point. Along with those amenities, Mission Ridge Range and Academy is a large retail store that strives to carry the best brands. Visit X-Golf San Antonio, the city’s first and only indoor golf and entertainment venue, where you can take on some of the most well-known golf courses in a fun atmosphere full of golf, great food, beverages, and entertainment. You can experience top-quality golf courses around the world without ever having to leave the comfort of our virtual golf venue in the Stone Oak area of San Antonio, Texas.